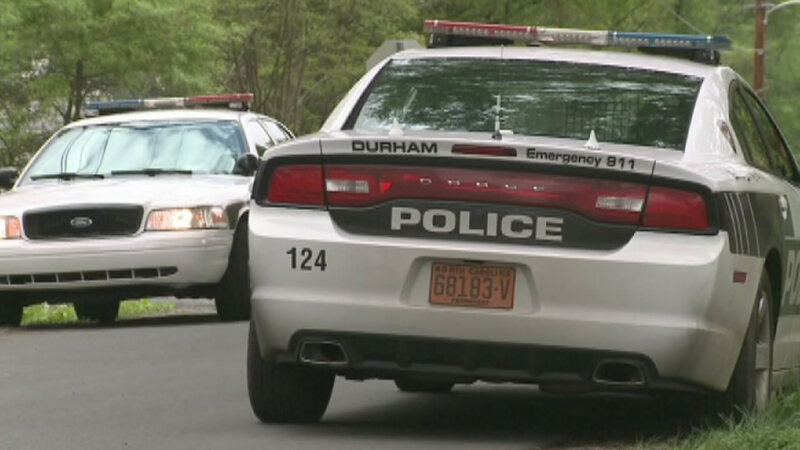 DURHAM, NC (WTVD) -- Durham police investigators are trying to identify two men who robbed the Rite Aid at 3798 Guess Road on January 11. Two men, one armed with a gun, entered the store shortly before 10 p.m., police said, and assaulted a 70-year-old employee. The suspects left with an undisclosed amount of cash. The first suspect was described as a black man, between 18 and 22 years of age, 5 feet 8 inches tall, weighing 165 pounds and wearing a black hoodie, black sweatpants and white shoes. The second suspect was described as a black man between 18 and 22 years of age, 5 feet 6 inches tall, weighing 145 pounds and wearing a gray and black hoodie, black sweatpants and black shoes. The suspect had a black handgun in his right hand. Anyone with information is asked to call Investigator Cristaldi at (919) 560-4440, ext. 29283 or CrimeStoppers at (919) 683-1200. CrimeStoppers pays cash rewards for information leading to arrests in felony cases and callers never have to identify themselves.